Browncoats are used to rolling the dice to survive. 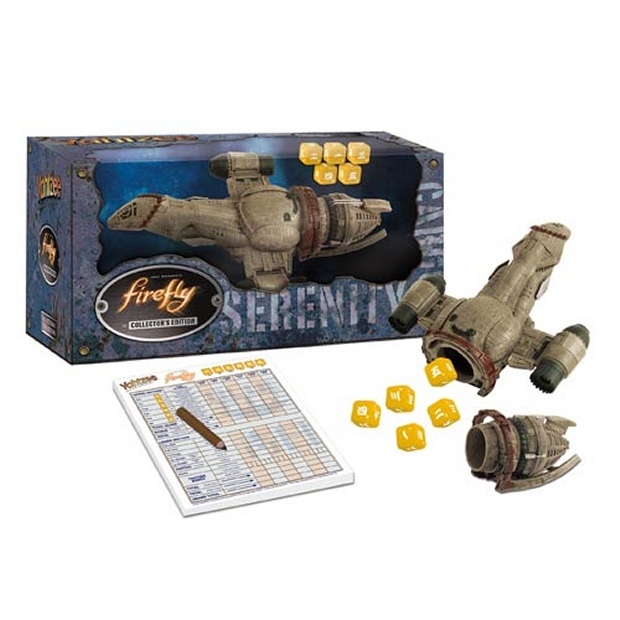 Now those dice can come up “Yahtzee” thanks to this awesome Firefly version of the classic game. This set is oh so shiny. Just like all of the other special edition Yahtzee sets, this one comes with special dice. However, the best part is that the dice cup is Serenity herself. You can pre-order it now from Entertainment Earth for $49.99(USD) and it will ship in September 2014. Obviously, everyone is buying this just for the ship and I’m no exception. Keep the dice and the scorecard. I’ll take the ship and be on my way.